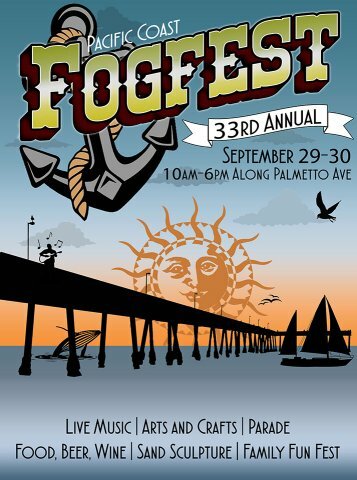 We’re back at the Pacific Coast Fogfest in beautiful Pacifica, California. Watch the parade, dance to music on three stages, let the kids play in the Kids Zone, and shop from over 200 artists and crafters. And don’t forget to try the secret signature drink the Fog Cutter! Last year was beautiful and sunny, so wear that sunscreen! We’ll announce our exact location on Facebook a little closer to the show. Palmetto Ave. and Shell St.